The new film about Han Solo, one of the most beloved characters of the Star Wars universe, starts off slowly and is, to be quite frank, a bit boring during its opening sequences. As I watched the dull, clichéd origin story of Han Solo (played to the best of his ability, by Alden Ehrenreich ) unfold, I felt dread that this film could possibly ruin what started off promisingly as a fun, more than competent possible future classic addition to the Star Wars universe precipitated by Disney’s acquisition of Lucasfilm. Fortunately, the film picks up after Han finally meets his real true love, the furry Chewbacca, who more or less steals the show with his expressive moans in a few memorable, hilarious scenes. 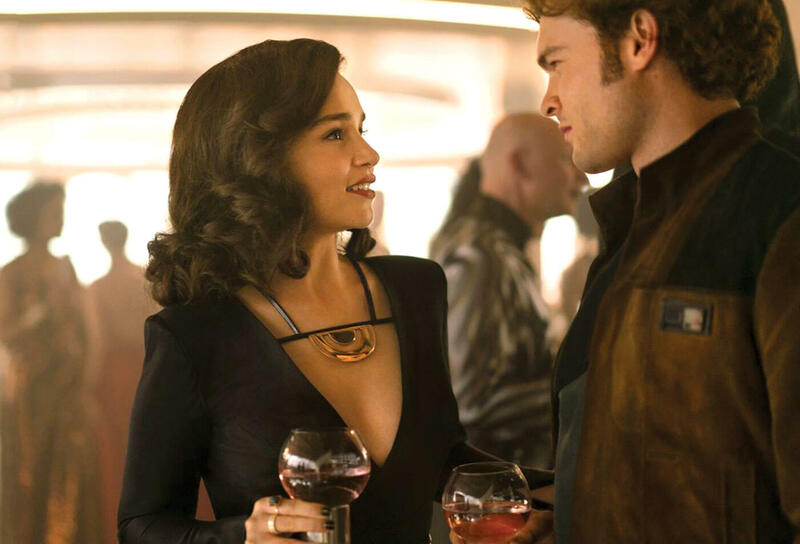 Thankfully, Ehrenreich’s Han is not alone, his other first true love, Qi’ra, who significantly ups the quality on show, is played by the lovely and immensely likable Emilia Clarke, who made her name through the Game of Thrones TV adaptations as Daenerys Targaryen. As the two battle to stay together in a universe that is incredibly cruel to those who do not wield power, money, and have access to coaxium- a super fuel that powers a ship’s ability to jump into hyper-space, they meet a few characters that have now become part of the Star Wars lore, starting with Lando Calrissian (played by Donald Grover), and, of course, the Millenium Falcon, who by now should be acknowledged as a character in her own right. Things pick up, there are surprises, none of which I can relay here, partly because that would spoil your fun, and partly because outside of the Star Wars fan universe, I would sound crazy trying to distill a complex plot involving glowing fuel, distant universes, strange galaxies, light speed, and sassy droids to a reader base that may not be able to process that level of fantastical space related detail in mere written form. 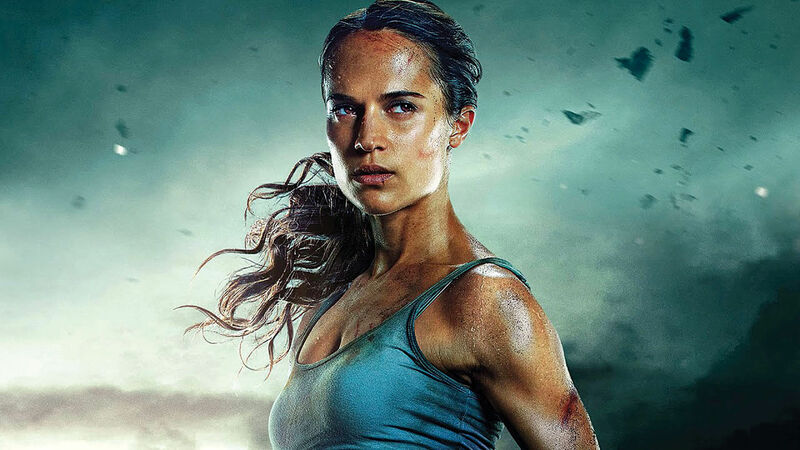 The main problem here, even when the film takes off, pardon the pun, is that Ehrenreich is no Harrison Ford, and just as this year’s Tomb Raider mistakenly cast the dull as ditchwater Alicia Vikander, who could not live up to her predecessor, the scintillating, simmering Angelina Jolie, so too is Ehrenreich cursed by the shadow of Ford, though admittedly he never falls as short as Vikander’s execrably bland Lara Croft. The film is set up for further cinematic development, and I for one would jump at the chance to see more of Chewy, Lando, Qi’ra, and another young woman who comes late into the film but is so riveting that it would be worth a sequel just to see more of her. Do not be discouraged, if you can get through the first interminable twenty-five minutes of this particular Star Wars film, you’ll have a lot of fun. So enjoy your Star Wars immersion: I found myself thinking about the film later on, and wondering how the characters might develop, always a good sign for a film that began so woefully.